The great man himself reminds us how science should be conducted. CLick ‘play’ on the embedded video in the first comment below. Let’s have your favourite quotes in comments below. Over on WUWT contributer ‘Just the facts’ provides a nice summary of NASA’s solar stories ver the last seven years. A useful reference for us, thanks mate! Jan 10, 2008: “Solar Cycle 24 – Hang on to your cell phone, a new solar cycle has just begun. September 3, 2009: “Are Sunspots Disappearing? – The sun is in the pits of the deepest solar minimum in nearly a century. Weeks and sometimes whole months go by without even a single tiny sunspot. The quiet has dragged out for more than two years, prompting some observers to wonder, are sunspots disappearing? My question to NASA, is the sun still “behaving normally” and what exactly is normal behavior for a 4.6 Billion year-old G-type Main Sequence Star? 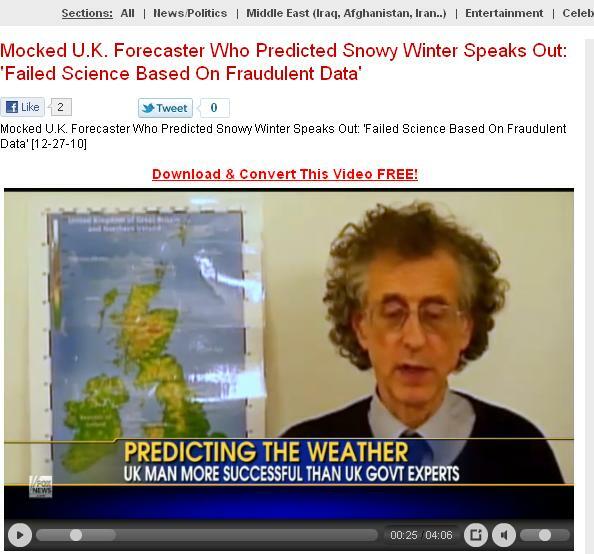 Weatheraction forecaster Piers Corbyn is on the publicity trail following his correct forecasts of deep cold in Europe this December and N.E. U.S. later this December. And why not! Well done Piers, keep telling them about your solar weather theory. Eventually they’ll get the message. A good find over at the Hockey Schtick alerts us to a new paper by Max Planck Institute chief solar physicist Sami Solanki and co-authors Krivova and Vieira. Between 2005 and 2010 these scientists have developed and validated a model which can accurately reconstruct not only TSI, but the spectral components within it. EUV is found to have increased by 50% since the Maunder Minimum. The model has nine(!) free parameters and is constrained by comparison with empirical data. 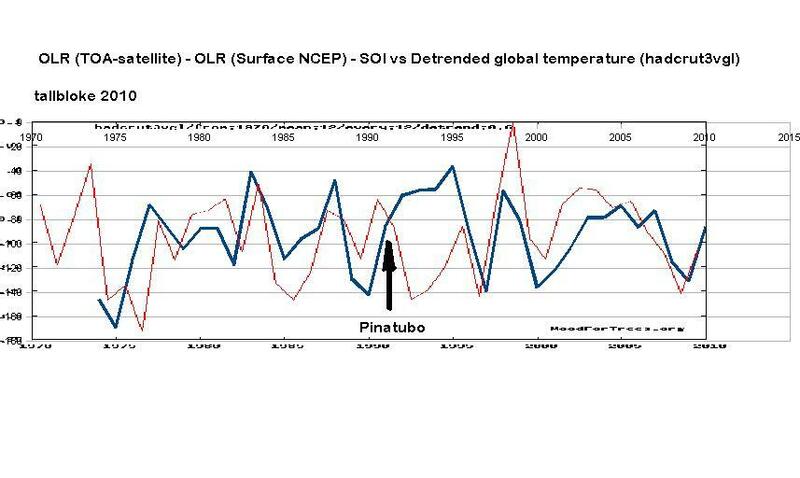 The difference between the model output and the measured TSI is shown below. My friend Barry impressed by my graphing skills, send me some data to plot against CETs. 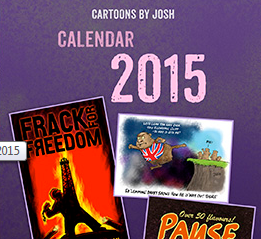 Since it is open thread I thought the RESULT could be of interest to some but not all of the contributors. For the line blue there is an easy clue; the name of the author in the bottom right corner. I applied a bit of arithmetic to Barry C Enter’s data. My first post on this blog also looked at a curve I derived from ephemeris data relating to the motion of the sun with respect to the solar system centre of mass (the SSB or barycenter) and compared it to global surface temperature and changes in Earth’s length of day (LOD). So come on Vuk, how have you derived the blue curve from the ephemeris? Stay safe and warm wherever you are, and have a great time over the winter holiday. Paul Hudson does it again! 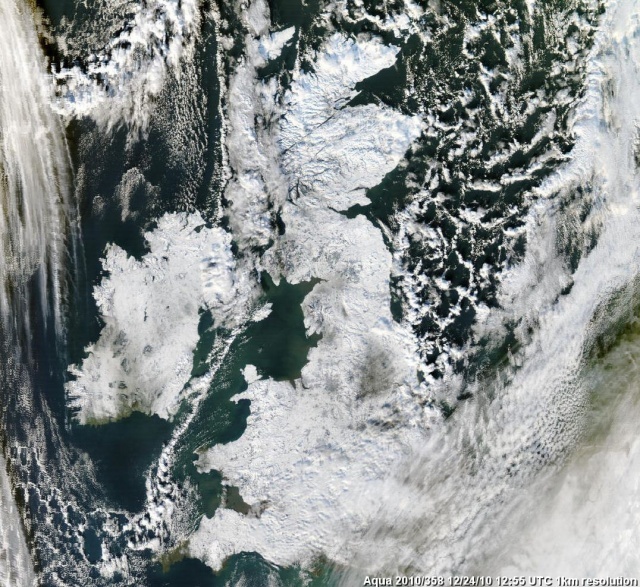 The BBC’s regular climate dissident, my local weatherman Paul Hudson, has blogged about the recent and continuing extremely cold weather over Britain. As well as mentioning several broken records. Well, I think I have found the solution. OHC reconstructions before mid 2003 are simply wrong. Otherwise satellite TOA energy imbalance measurements have low accuracy but reasonable precision while ARGO OHC measurements are just the opposite. Therefore I have calculated the integral of CERES FLASHFlux net TOA radiation imbalance between the fourth quarter of 2003 and third quarter of 2009. The linear component of this integral is arbitrary due to low precision. So I have calculated a least square fit linear approximation to the difference of the integral above and the NODC OHC reconstruction for the same period. The match is pretty good. 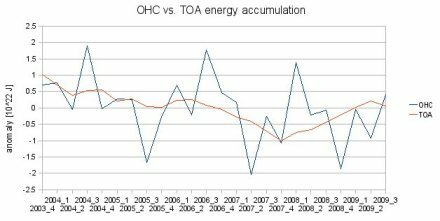 I think the fluctuations of OHC around the TOA energy accumulation curve are not real, it’s just measurement noise. Oh I don’t know, get something for the house. Why not click the ad on the left and see what he has in stock. Anthony has had some large and unexpected medical bills to cover and it would be great if we could help make life cheerier for his family during this festive season. If you can’t get away with buying a weather station, feel free to drop something in the WUWT tip jar in thanks for his sterling efforts in bringing climate science to the masses. Still as relevant as when it was written, this repost is from John Daly’s website ‘Still Waiting for Greenhouse‘ maintained since John’s death in 2004 by Jerry Brennan. The Earth is essentially a water planet. Over 70% of its surface area is covered by oceans, seas, and lakes, while a further 5% or so is covered by glaciers and ice caps resting on land areas. More than two-thirds of this water area is located in the southern hemisphere, and the ocean masses are typically 4 to 5 kilometres deep. With the Earth being over 75% covered by water in one form or another, it follows that the response of this 75% to any increase in greenhouse gases will be decisive in determining to what extent a warming, if any, will occur. The atmosphere cannot warm until the underlying surface warms first. This is because the transparency of the atmosphere to solar radiation, (which is a key element in the greenhouse warming scenario), prevents the lower atmosphere itself being significantly warmed by direct sunlight alone. The surface atmosphere therefore gets its warmth from direct contact with the oceans, from infra-red radiation off its surface being absorbed by greenhouse gases, and from the removal of latent heat from the ocean through evaporation. This means, therefore, that the temperature of the lower atmosphere is largely determined by the temperature of the ocean. In other words, it is necessary for the oceans to warm up first before the overlying atmosphere can warm.